As foreign as an IBK “Italian born Korean” (one of the pioneers of Moyo) is to me, so is the union of these two cuisines. The results are intriguingly not strange though, definitely a credit to the successfully unique ideas this kitchen is cooking! Here are some of the delicious dishes I sampled on my visit. The restaurant is still in its soft opening though! How did no one else think of this? Ok maybe someone did but this was my first try at it and the combo is as delicious as it sounds! 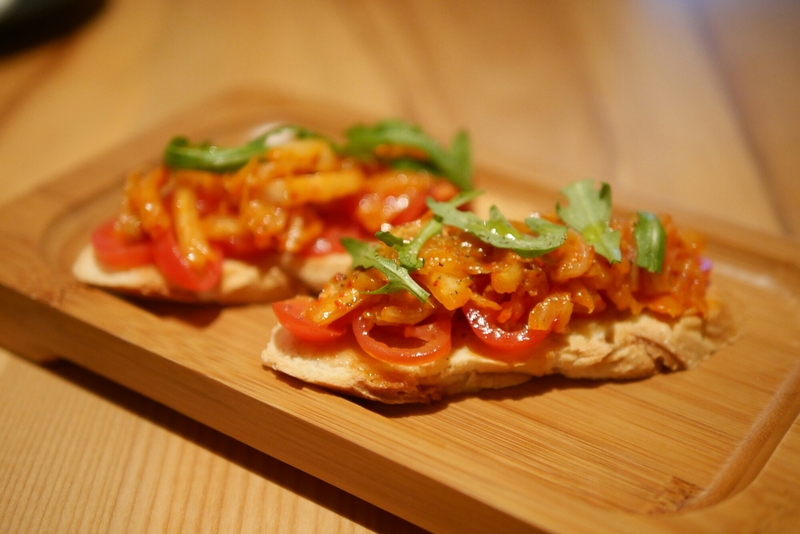 A spicy tomato toast, to put it crudely. Always my must order item at any Korean restaurant! This one was mixed with pork as well. The dish was unusually not my favourite of the night – the taste was quite normal and less fusion-y than the other dishes. 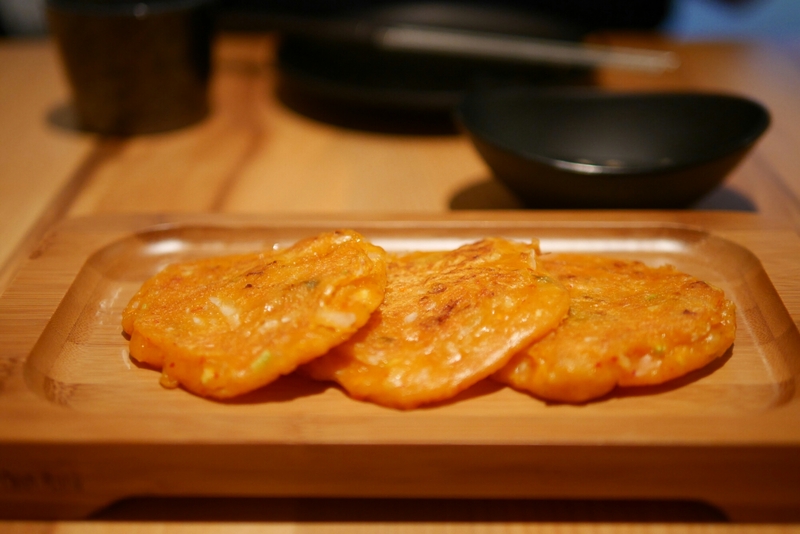 All in all, still delicious (though be wary of my Kimchi pancake bias) but I thought it could be made crisper! This was my favourite dish of the night – unexpectedly so too! Mix the whole thing up and the tad spice, kimchi and pork belly just make an awesome sauce for the fries. 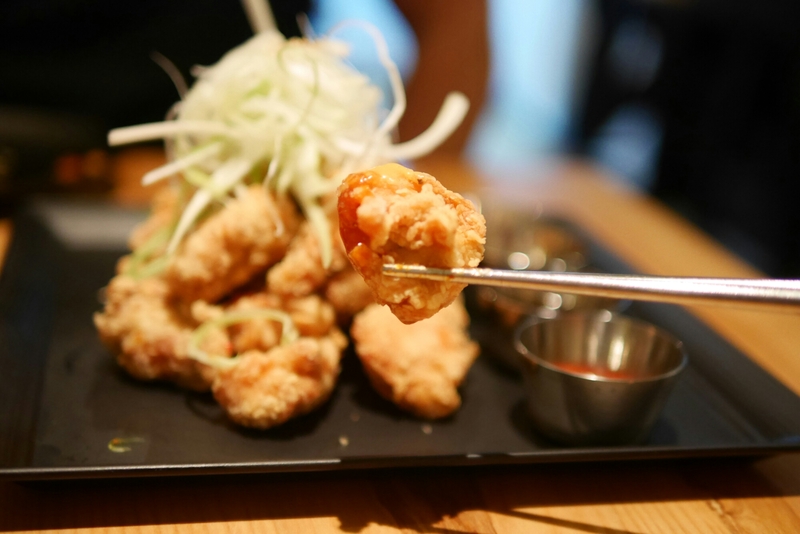 I’m a pretty stringent chicken eater – the meat has to be juicy, tender and a lil fatty. The sauces were great but the chicken meat just lacked those key characteristics. I tried a similar dish at School Food (a popular restaurant chain from Korea) and was… Pretty appalled and put off. The menu at Moyo was not sooo extensive, so given the high load my stomach requires, I gave this one a shot! Here, the carbonara sauce was thick and strong, which goes very well with the also-thick rice cakes! 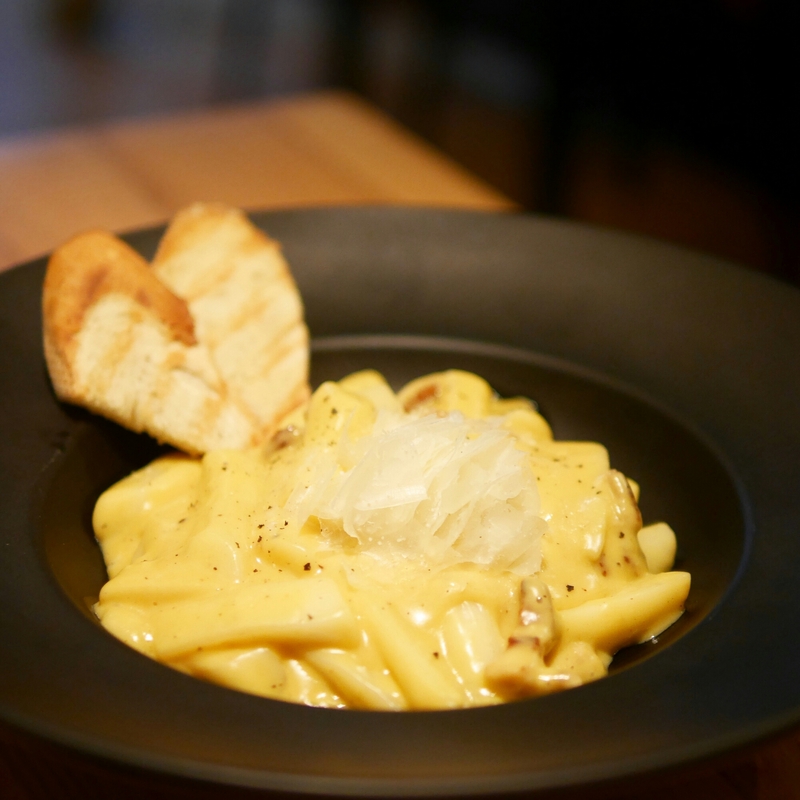 Definitely would recommend this dish for the carbonara lovers. They only had two desserts on the menu and we managed to stomach them both – well the portions are not huge. 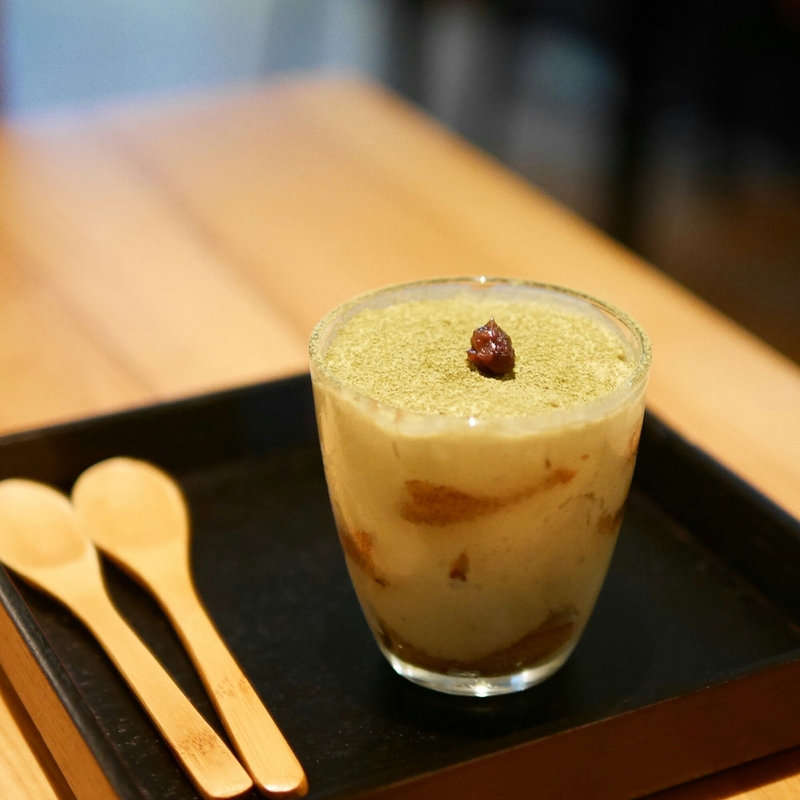 I love tiramisu and green tea, so this combo would naturally be my favourite. It was super creamy and smooth, while the green tea and red bean flavours went well together, of course. This was super unique and delicious too! You wouldn’t have guessed that those were tofu cubes – they were deep fried and coated with cinnamon (and I think sugar? 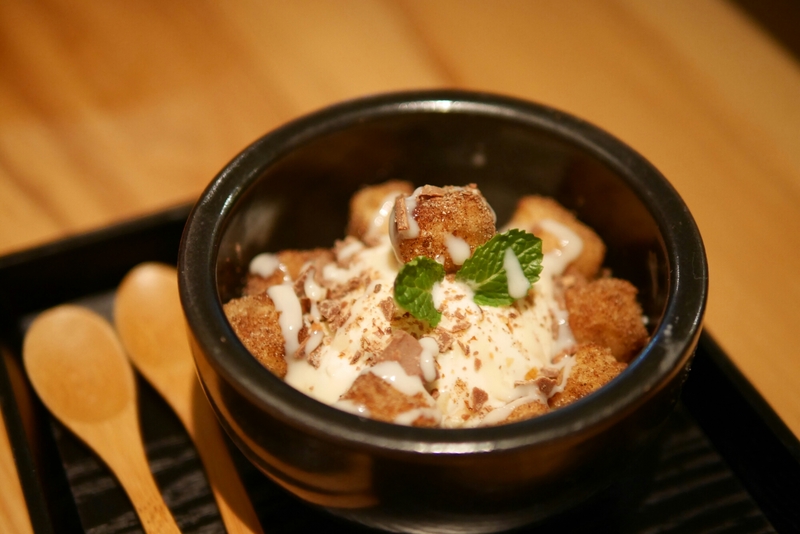 ), which made them taste very much like churros! This went well with the ice cream and could also have been my favourite dessert of the night (can’t really decide… order both)! Overall, it’s great restaurant if you love Korean food, but not so much into the Korean bbq scene. The food is more modern and westernised, less traditional, which is nice for a change, I’d say! Moyo is conveniently located on 36 Aberdeen Street, Central. It’s located right next to PMQ. Dinner was about HK$300 per head, without drinks. When I went, they hadn’t got their liquor license yet, so it was BYOB!